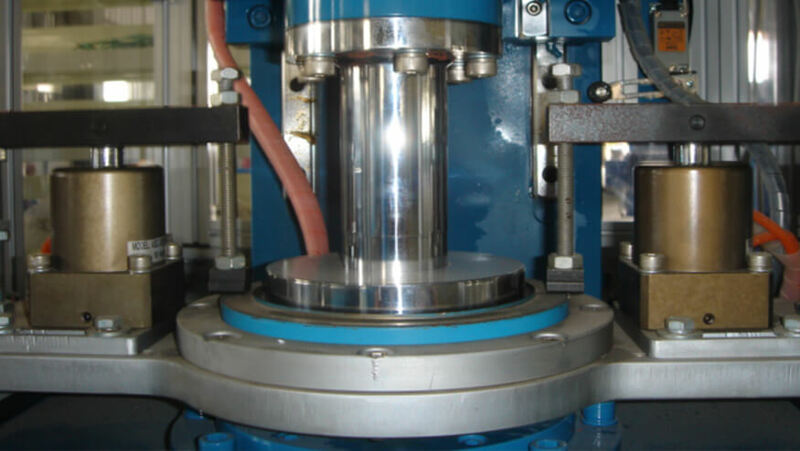 WINTEK has over 2 decades of experiences in sealing industry and have acquiring modernized testing and measuring devices to help with seals developing and designing process. With our dedicated R&D team's expertise and sophisticated equipments, we are capable of designing and developing seals that provide the most effective and successful sealing solution to customers. 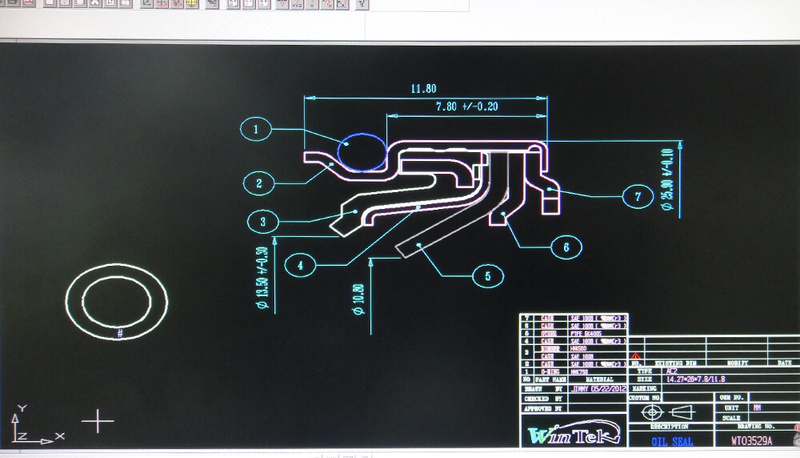 By working and communicating directly with our customers, it allows us to continuously improve and innovate our seals design and focusing on clients’ needs and specification of their application. 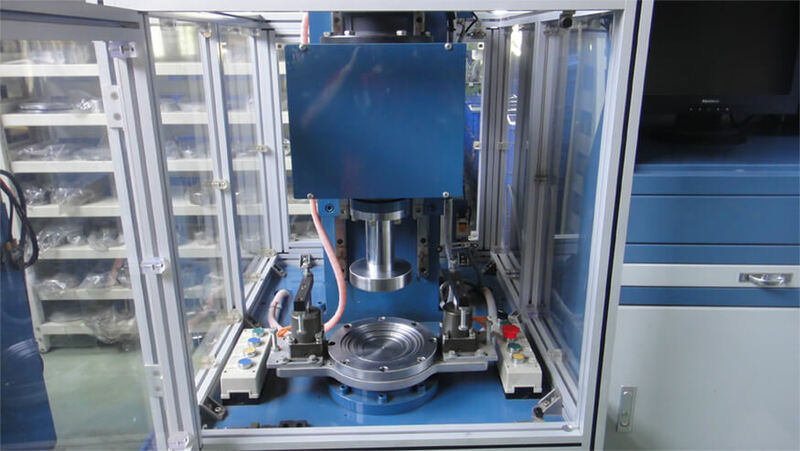 Our sophisticated devices provide testing and inspection on various aspects of sealing products; from size of the seals, the use of rubber materials qualities, the operating lifetime of the seals, and the sealing lips’ capability. With our experienced management team and dedicated and innovative R&D team, we emphasize the quality and consistency of our production. WINTEK is committed to the mission of giving our customers the best and effective sealing solution. 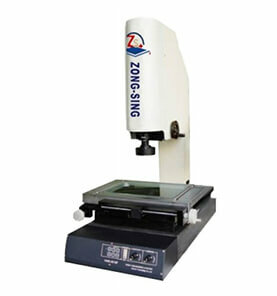 The 2.5 D Image Measuring Instrument can provide precise and accurate measuring data of our products. The instrument helps us to check whether the size meets the customers’ demand and whether the size are fall within the acceptable range. The collection of our measuring data gives an insight of our production capability, stability, and consistency. 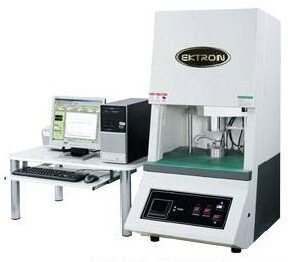 WINTEK R&D group obtain EKTRON Rheometer, device that provide standard testing method for rubber curing characteristics to assure the quality and attributes of the rubber material. The quality of the sealing lip plays a major role in the sealing solution and its performance. It has huge impact to the service life and performance of the seal. 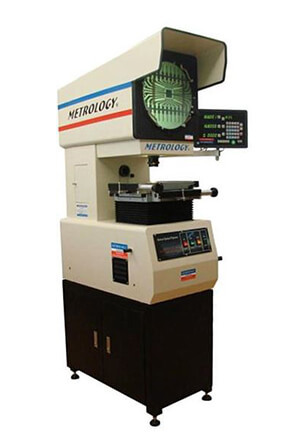 Due to rubber’s elastic properties and its’ difficulty of controlling and obtaining the accuracy of the measurement data by using traditional method, radiameter helps overcome some of the shortcomings from traditional measuring methods and increase accuracy and reliability of the inspection and testing report on our sealing products. 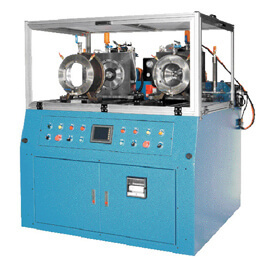 WINTEK R&D team possesses a radial force testing machine that gives precise quality check and inspection on the sealing lips of the rotary seal making sure the upmost quality level of our product is delivered to our customers. Vertical Optical Projector serves as an advanced readout system that magnifies products at high levels of resolution for precise and accurate product inspection and measurement. Projector allows our R&D team to measure components that are difficult to be measured by other means due to size, material composition, and dimensional characteristics. Vertical optical projector provide more detailed information regarding our oil seals and any other sealing products. 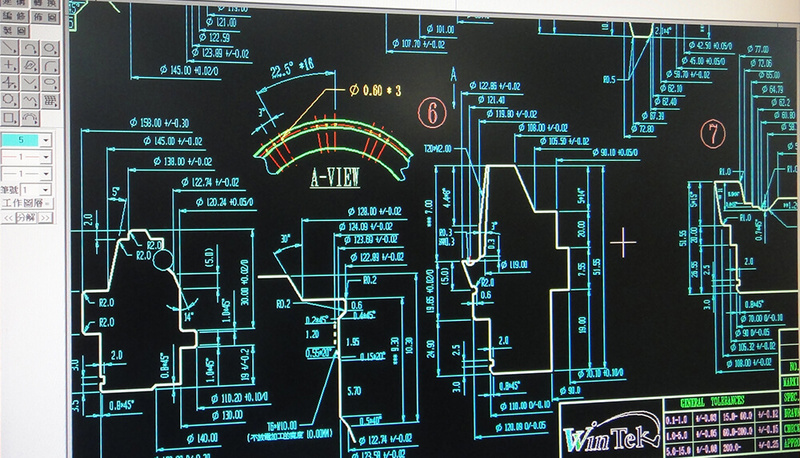 WINTEK values heavily on delivering high quality and long lasting products to our customers. 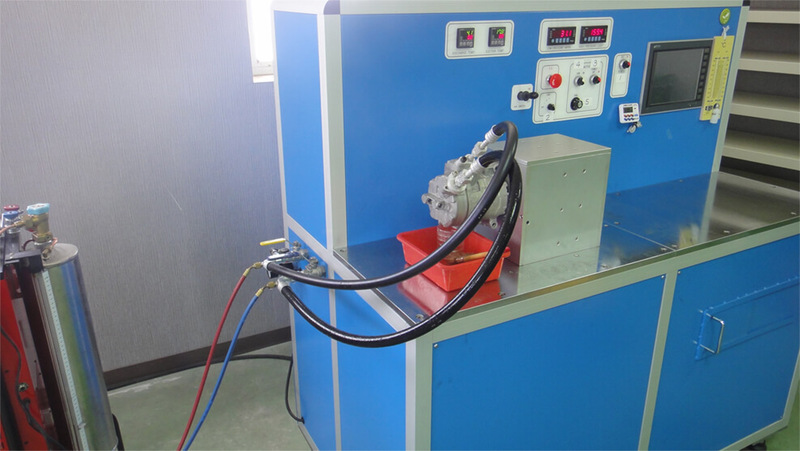 In order to deliver our promise, we customized our testing equipment to test our seals for its’ sealing performance and viability under various environmental conditions. 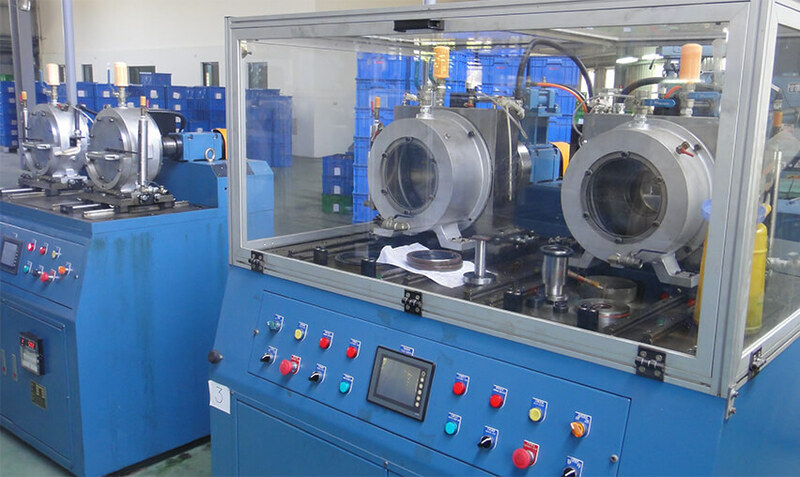 Testing process enable us to analyze defects and failures of our seals and continuously making improvement on our products by determining some of the major influencing factors such as temperature, pressure, heat, and speed. We contact with our customers directly to obtain first-hand information regarding to the products and always provide technical support to assist our customers to solve their issues. 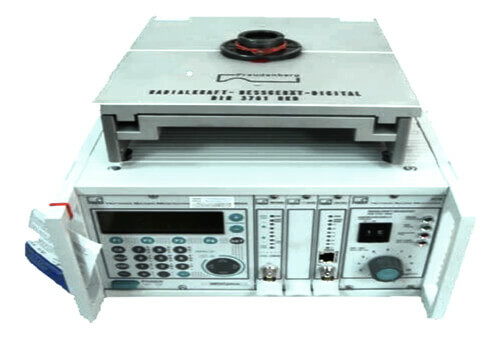 WINTEK'S R&D team also apply testing equipments in innovative design and new product development. 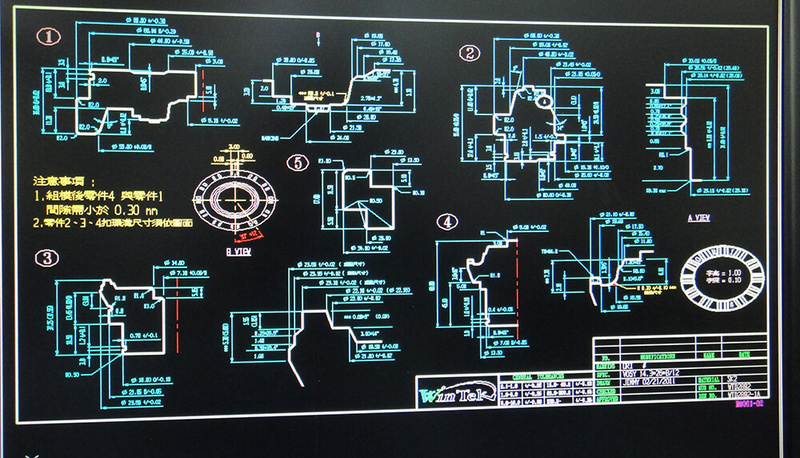 Our R&D team uses Computer-Aided Design program in product design and development. CAD allows us to have more accurate design with two and three-dimensional graphs and better organization of our design projects. 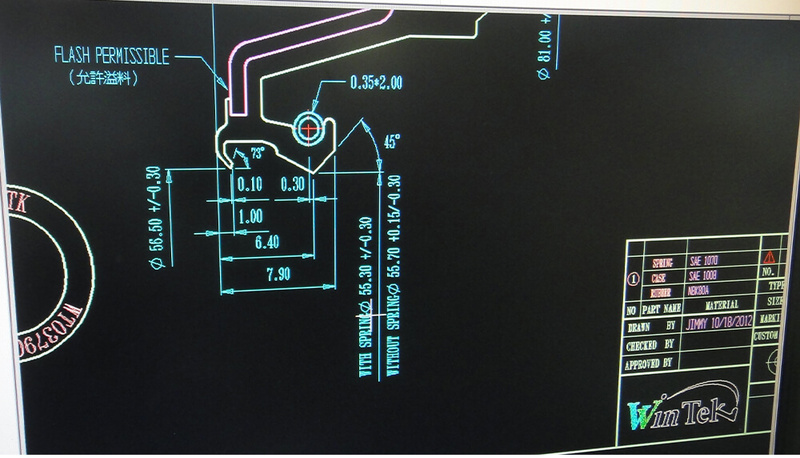 With the assistance of computer-aided design program, we are able to design seals that meet our customers’ requirement both in shape customization or inner design of the seals and provide the most effective sealing solution.